Home Indian Navy Why is Navy Day Celebrated on 4th December Every Year? 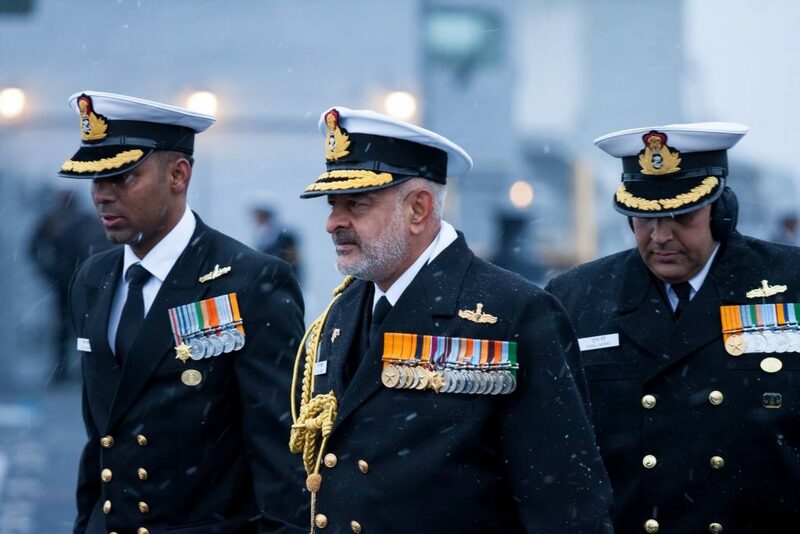 India celebrates its 47th Navy day on 04th December 2018. On this occasion, homage was paid to the martyrs, parades and military shows were organized, and awards were distributed. The day has been marked in the memory of the launch of Operation Trident during the Indo-Pak war on 1971, and as a mark of reverence to those who were martyred in the war. The Navy also organises a Beating Retreat and Tattoo Ceremony at Gateway of India, Mumbai on the eve of the Navy Day. The ceremony is largely focused on general public wherein the Indian Naval Band performs across venues in the city between Gateway of India and Radio Club. The operation was conducted on the night of 4–5 December when the Indian Navy launched a devastating attack on the Pakistan Naval Headquarters in Karachi. In the attack, the Indian side, consisting of 3 Vidyut class missile boats (INS Nipat, INS Nirghat, and INS Veer) , 2 anti-submarines and a tanker, sank four Pakistani vessels and ravaged the Karachi harbour fuel fields killing over 500 Pakistani Navy personnel. The Indian side suffered no losses. Operation Trident saw the first use of anti-ship missiles in combat in the region. Operation Trident was followed up with another attack by the Indian Navy, code-named Operation Python. After being surprised by the belligerence of Indian Navy by the first attack, the Pakistani side increased the surveillance along its coasts so as to identify and thwart any further offensive of the Indian Navy. On the intervening nights of Demeber 8-9, the Indian side launched Operation Python when it sent a strike group consisting of one missile boat and two frigates that attacked a group of Pakistani vessels off the coast of Karachi who were trying to outmanoeuvre the Indin side by mixing with merchant ships. Again, India did not suffer any losses in the offensive and managed to damage Pakistani fleet tanker PNS Dacca beyond repair while causing them to lose the Kemari Oil Storage facility as well.